Getting out of a timeshare contract is not as easy as it sounds. Financial obligations were made and the resort developer will not let you off the hook very easily. Learn the most secure way to unload a timeshare that only gives you headaches. Thousands of International travelers, particularly from the US and Canada, have fallen victims of timeshare fraud while vacationing in Mexico. Resort developers hire skilled salesmen to represent their timeshares as many different attractive packages, such as financial investments, deeded properties, or vacation clubs, just to increase their sales. Unfortunately these promises are normally made verbally, and the clients end up being disappointed by their purchase which turned out to be nothing they were promised. In desperation to get rid of their timeshare, they research different options to try to resolve their timeshare fraud issue. Many timeshare developers sell their timeshare packages as a financial investment. They claim that their properties are in constant demand by travel agents, and that the rentals are guaranteed if the client signs up with one of their affiliated brokers. 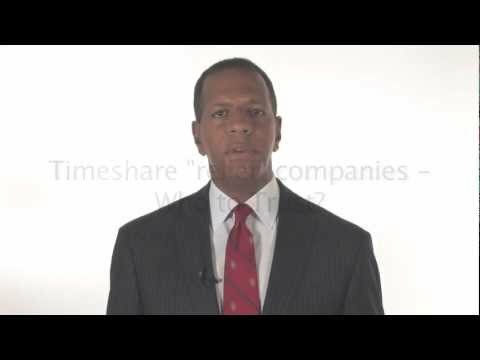 Most times, these companies do not perform the rental of timeshare weeks and the client is left even more frustrated in the intend of getting out of timeshare contract. During the sales presentation, many salesmen will claim that if the client is not completely satisfied, the timeshare developer will buy back the timeshare for an attractive percentage of the fair market value. In reality, timeshare developers do not buy back their timeshares. They may refer the timeshare owner to a third party resale company, who operates in a similar fashion to the rental agencies that collect fees to list the property, and then never follow through on the sale. We have also heard recently of clients who have listed with a resale company that claims to have a purchase offer from an actual client. Be careful as these resale agents tells the client that they are required to pay the Mexican IVA taxes for the sale into an escrow account. In a matter of days, the client is supposed to receive their payment from the purchaser, and the taxes will be refunded. This is another form of timeshare scam because escrow accounts do not exist in Mexico. The resale agent takes the thousands of dollars, meant to be paid for taxes, and disappears. Cancelling a timeshare is a complicated procedure that requires help from people with experience and knowledge. There are several new companies that claim to offer timeshare relief or cancellation for an upfront fee. They may send the client paperwork to transfer the title or complete thecancellation procedure. This paperwork never actually gets processed by the timeshare scam developer. When the client calls the resort, they are still in fact the owner of the timeshare, and they have lost money to the timeshare cancellation company in upfront fees. Large real estate purchases and sales require careful thought and consideration about the financial implications you will incur. Many fraudulent timeshare salespeople conduct high pressure sales presentations and offer one-day only special deals. This is a common sales tactic of ensuring that the purchaser does not take the time to investigate the reputation of the company, or the details of the contract they are signing. Do not buy a timeshare or list a timeshare for rental, resale or relief without investigating the company thoroughly. Most of the timeshare companies on our blacklist are there because they have a bad reputation for scamming their customers. If there are few or no complaints online, that is a good sign that the company is reputable. People who have had issues like to share their experience on websites such as complaintsboard.com, ripoffreport.com or squeakywheel.com to ensure that other people do not fall victim totimeshare scam. Check these sites carefully before making a timeshare purchase or listing your property for rentals, resale or cancellation. How is Mexican Timeshare Solutions Different? We do not charge any upfront fees. MTS is a results-based organization that works hard to protect and fight for consumer rights. We do not have any relationships with the timeshare developers and we have an excellent success rate in cancelling timeshare contracts and recovering timeshare owners’ money. Our experts work on a 100% contingency basis, meaning, if we do not cancel your timeshare scam contract successfully, you do not pay us a penny. Contact us today for a free consultation on how we can help to free you from your timeshare scam. Hi there, actually is very difficult to get out of a timeshare, for my own experience timeshare field is a risky thing...anyway for all of those people who think that to get a timeshare is a good deal , really is not..only for the resort it is , but not for me , not for you . Well ,like this article says, a very usefull trick is to make a research very deep about timeshares , is very important this point, this can save us for a big chaos , dont trust at the first time, please make a research first. Adquiri timeshare con El Cid resorts y debo decir que es lo peor que nos ha pasado en la vida, gente estafadora NO LOS RECOMIENDO, hace 1 semana me activaron la membresia y según ellos puedo usarla. SORPRESA! cada vez que envío mensajes para reservar un hotel en la fecha que me acomoda,(no hay disponibilidad). Es decir, no tengo preferencias por nada, me sugieren otros destinos y hoteles. Entonces es cuando me pregunto, ¿quedarme con las sobres, con lo que ellos deciden darme? y yo estoy pagando un costo super alto por esto, es super injusto. Considero que Mexico, le falta mucho orden, no están cuidando el Turismo. Las leyes no velan por los intereses del consumidor, muy por el contrario beneficia a es bola de estafadores. Realmente me siento engañada. My family owns a time share and I don’t even understand why they keep it part of their investment, I’m totally out of it. But I notice some issues with it, like they keep complaining about the taxes and charges per year. I never understood the fascination people had with time shares. I think it makes them feel wealthier than they really are — like a vacation home when they really can’t afford a vacation home. One of the biggest legal scams out there in my opinion.